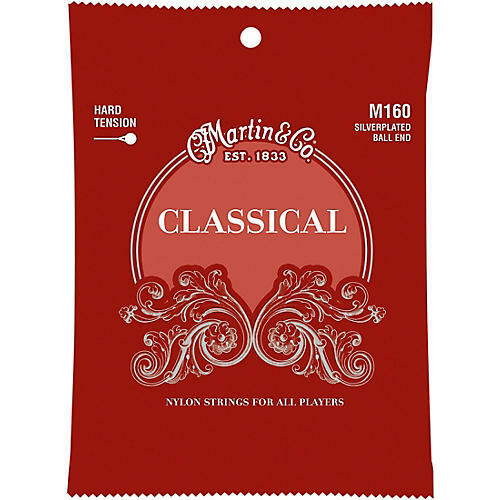 Martin M160 Classical Hard Tension Silverplated strings feature ball ends for easy changes and a more streamlined look. In addition, they are a great alternative for stringing folk guitars so young players can make rapid progress. Get great tone and feel. Order today.